Men with benign prostatic hyperplasia may be reassured by recent research showing the safety of supplements containing saw palmetto extract. Taking saw palmetto is a safe approach to easing lower urinary tract symptoms due to benign prostatic hyperplasia (BPH), a recent study has found. Scientists at the University of California, San Francisco and the Northern California Kaiser-Permanente Division of Research carried out a study to assess the safety of this natural approach. The research team analysed data on 357 men who were taking part in the Complementary and Alternative Medicine for Urological Symptoms (CAMUS) trial. Participants were given 320mg per day of saw palmetto extract or a placebo (dummy treatment) for the first six months of the study, followed by 640mg per day for the next six months and 960mg a day for the final six months. Regular assessments were carried out to see whether the men experienced any unwanted side-effects or health concerns. 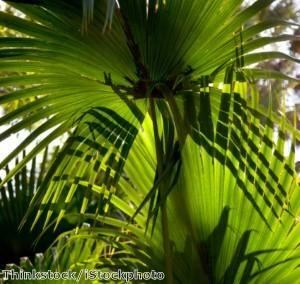 The researchers found no difference between men taking saw palmetto extract and those on the placebo in terms of adverse events, changes in vital signs or rates of withdrawal from the study. Lab tests performed on participants' blood and urine samples also showed few, if any, differences, even at high doses of the natural product. Publishing their findings in the Journal of Urology, the study authors concluded that saw palmetto extract "showed no evidence of toxicity at doses of up to three times the usual clinical dose during an 18-month period". The findings will no doubt be reassuring for those using, or considering buying, saw palmetto extract, which is commonly used by men with BPH. They follow an earlier study published in February in the journal Phytotherapy Research, which revealed the efficacy of saw palmetto extract (320mg) at improving symptoms of BPH over the course of eight weeks. Men with sub-optimal prostate function may want to consider trying a food supplement called AlphaProst Plus, which has been specially formulated to reduce inflammation and support prostate health. Supplied by The Really Healthy Company, AlphaProst Plus contains a number of other herbs and nutrients in addition to saw palmetto, all of which have been selected for their hormone balancing, anti-inflammatory, anti-oxidising, immune-stimulating and immune-regulating properties. These nutrients work in synergy to promote prostate health and ease discomfort.